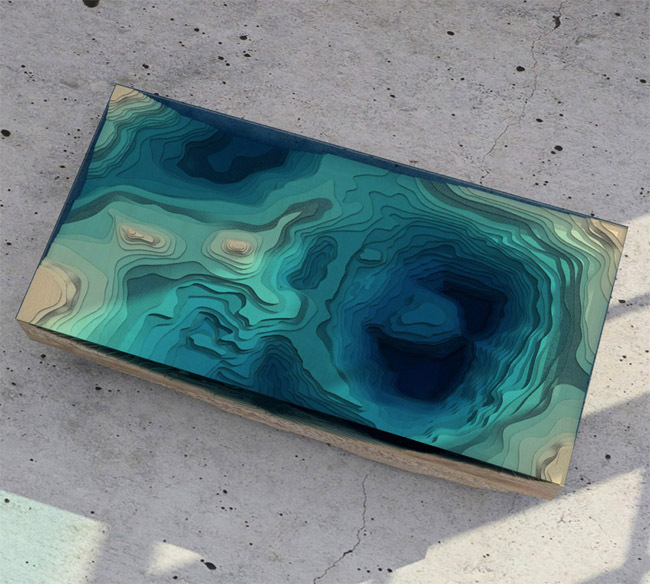 Meandering rivers, icebergs and a deep blue abyss are invoked in layers of blue-green glass, burled wood and cast concrete and translated into tables. 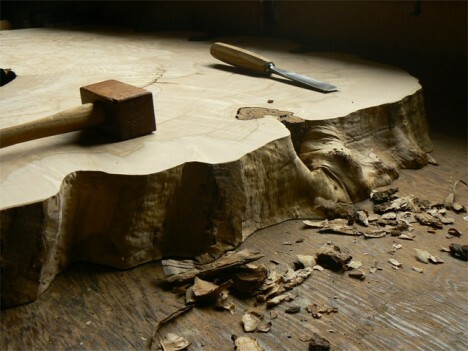 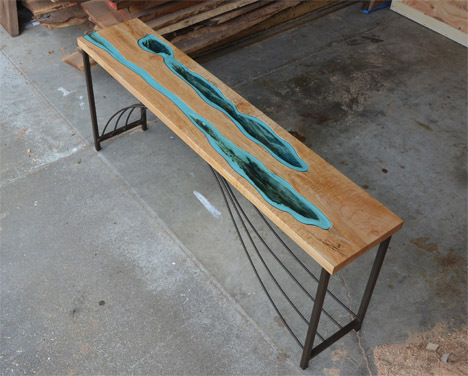 Ranging from self-taught artists crafting each piece by hand to high-end designers using precision laser-cutting machinery, these three sculptors and furniture makers take inspiration from the natural world to make practical pieces that mimic topography. 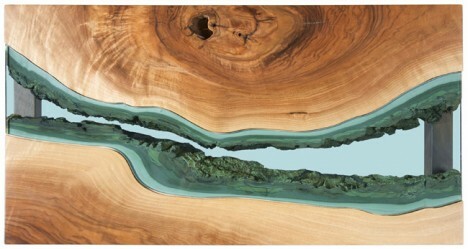 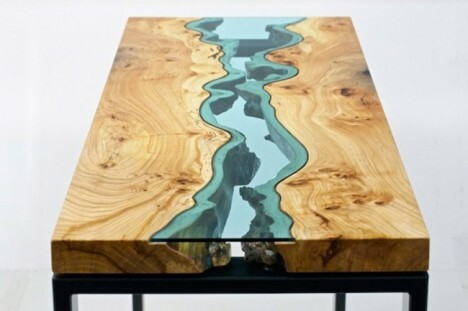 The naturally wavy edges of discarded lumber, considered too imperfect for standard usage in construction and furniture, are aligned just right and joined with strips of pale blue-green glass to become watery landscapes. 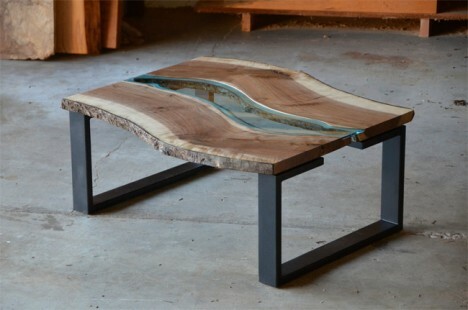 Taking inspiration from the beautiful natural scenery of his home in the Pacific Northwest, theologist-turned-furniture-maker Greg Klassen sources his wood at construction sites and from fallen trees in the forest. 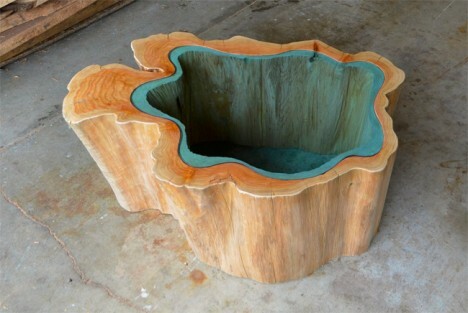 “I Love the idea of taken a discarded tree and giving it a new life,” he says. 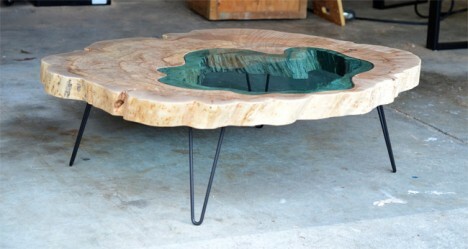 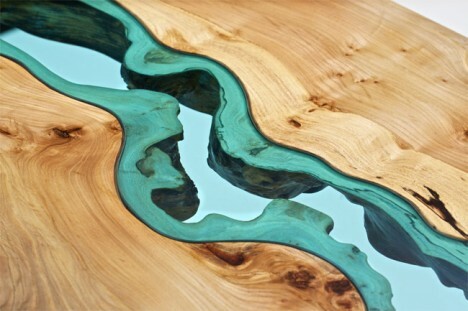 Designs include the striking River Console, with its undulating ribbon of water, the Pond Table carved from a massive maple trunk, and Folded River, an asymmetrical L-shaped design in which the glass trails down one side.